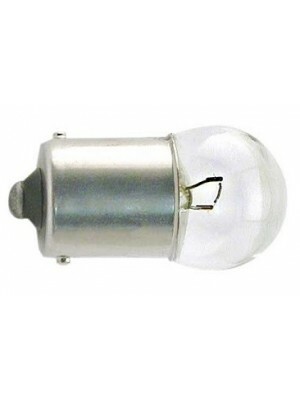 1 Candlepower 6 volt bulb- Fits the A13360 turn signal unit and the A18105 and A18106 temperature an..
A-18100 Single Gauge Bkt 28-30 -dash mt. Single Gauge Bracket. 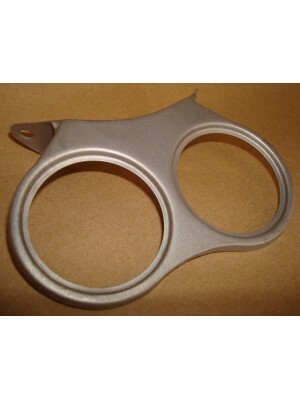 Steel USA made bracket to mount water temperature gauge, oil pressure gauge, o..
A-18101 Single Guage Bkt L30-1 -dash mt. Chrome Plated Dual Guage Bracket - Mounts to the bottom of the instrument panal. 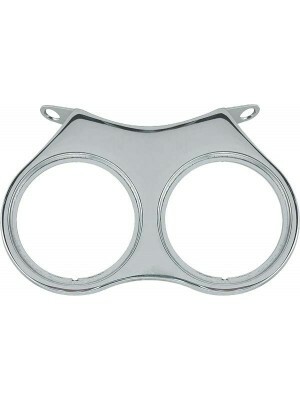 Holds two gaug..
Chrome Plated Dual Guage Bracket- Mounts to the bottom of the instrument panal. 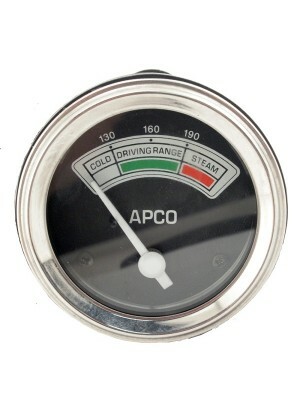 Holds two gauges, ei..
APCO Lighted Temperature gauge. 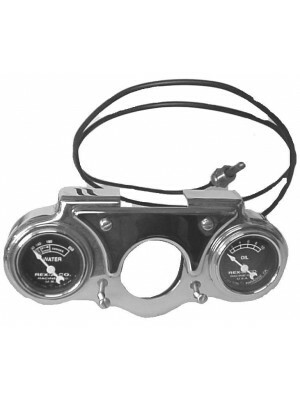 Mechanical gauge fits any of our brackets. 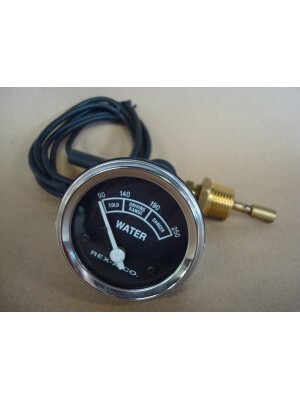 48" long tube t..
A-18105 Rex-a-Co Water Temp. Guage w/hdwr. 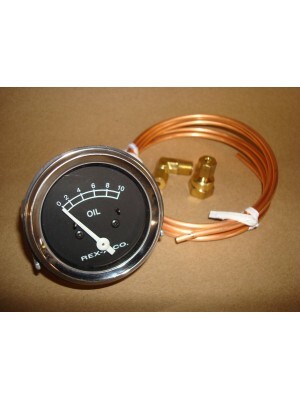 Rex-A-CO Lighted Temperature gauge. 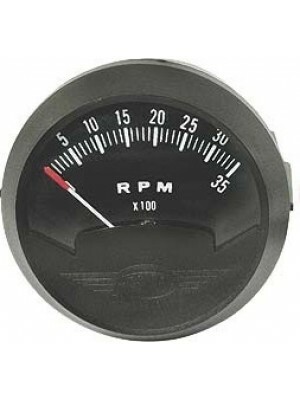 Mechanical gauge fits any of our brackets. 48" long tube t..
A-18106 Rex-a-Co 0-10 lb. oil Guage w/hdwr. Rex-a-Co 0-10 lb. 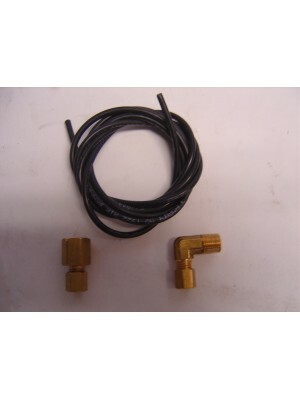 Oil Pressure Guage with fittings- Fits any of our gauge brackets. Sender thre..
APCO 0-15 lb. 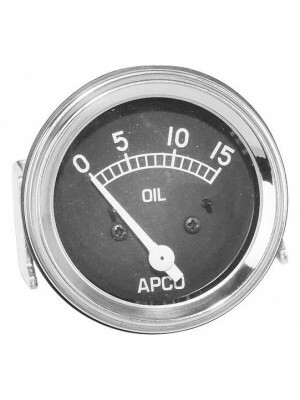 Oil Pressure Gauge With Fittings. 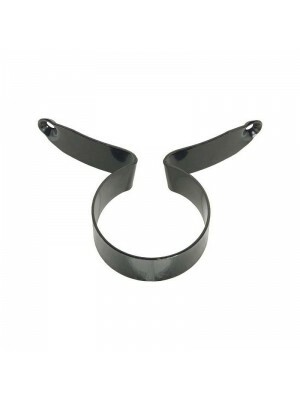 Fits any of our gauge brackets. Sender threads in th..
Dual Gauge Bracket- Mounts to Steering column- Chrome plated -Fastens to the bracket that is soldere..
Dual Gauge Bracket- Mounts to Steering column bracket- Chrome plated -Fastens to the bracket under t..
Steel unpainted Dual Gauge Bracket- For 2 gauges- Fits either instrument panal- Fastens to the two m..
6 Volt -2 1/16" Tachometer-Easy to hook up- only two wires- Fits in any of our brackets- same size a..
12 Volt 2 1/16" Tachometer- Easy hook up- only two wires- Mounts in any of our gauge brackets..